As the 9th Street market has become increasingly multicultural, shoppers can find a wider range of culinary items that reflect the changing population. Lupita's proprietor Ernesto Atrisco came to South Philadelphia from Mexico, and started out delivering pizzas for a Greek-owned restaurant. Atrisco and his family opened Lupita's Grocery in 2003, offering everything from cornhusks for tamales to dried hot peppers by the gallon bag. 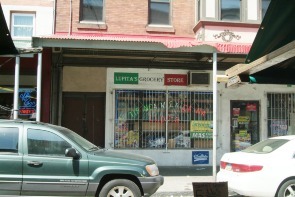 Mexican immigrants to Philadelphia continue the 9th Street tradition of offering fresh food and family-operated, personal service. Posada, Janice. "The New Face of Philly." The Washington Times, December 7, 2005.